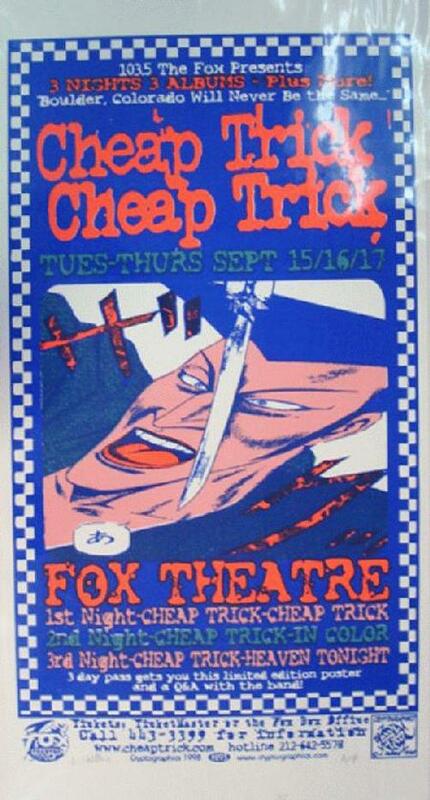 Original silkscreen concert poster for Cheap Trick at The Fox Theatre in Boulder, CO in 1998. 13.25 x 26 inches. Signed as an AP the artist by Jeff Holland.